Advanced cyber attacks continue to be more prevalent with increased sophistication and are indiscriminately targeting industry sectors and organizations of all sizes. The potential damage for businesses has increased the awareness of the mid-market IT leaders, who are searching for solutions that can protect them from ransomware and other advanced attacks. 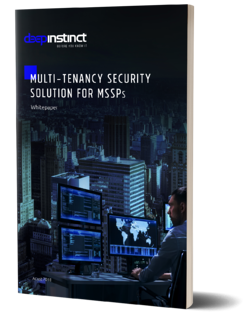 Furthermore, there are very few advanced security solutions that can be managed in a multi-tenant environment. MSSPs themselves are searching for the appropriate advanced security solution, which will then require the MSSPs’ security experts to learn and manage.